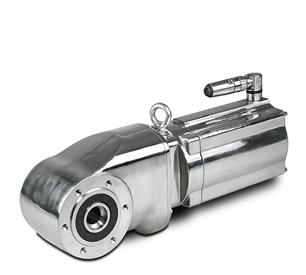 If you need an innovative solution for hygiene-critical applications, the Bauer Stainless Steel motor is a great option. It is perfect for pharmaceutical, and food and beverage industries as it boasts a hygiene conscious design with angular slopes that allow for easy run off when cleaned. As an all stainless steel motor, its design doesn’t have any harmful coatings that can peel or fleck off, preventing contamination. Inside it houses all the same great gear motor parts, giving you great features that don’t compromise your business’ health and safety. A high efficiency machine, our stainless steel motor will save your business money with energy savings of over 40%. And for the hygiene-conscious, you can rest easy knowing this gear motor will not compromise your health and safety concerns. A leader in the industry, this innovative machine doesn’t fail to impress.